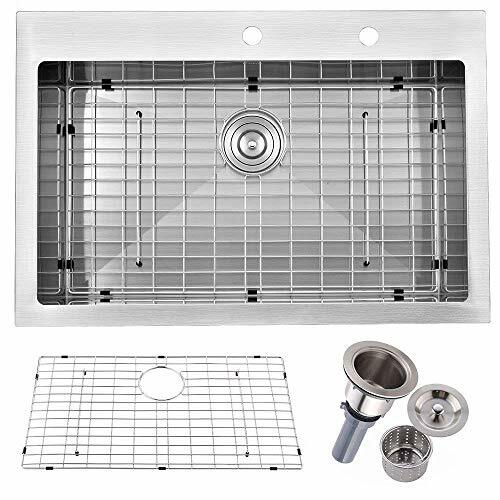 Main Features1.Brushed Nickel Finished?& T-304 Stainless steel Construction2.Accessories NOT Included. Enjoy the advantage of high-end kitchen sinks with the best-selling Standart PRO Series. 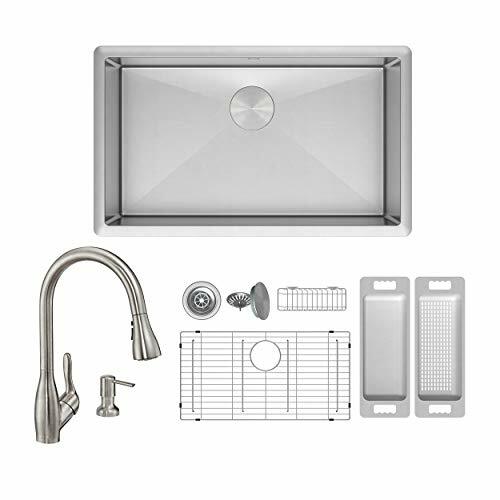 This KRAUS sink features a clean contemporary design and wear-resistant finish with a beautiful sheen that complements most kitchen appliances. 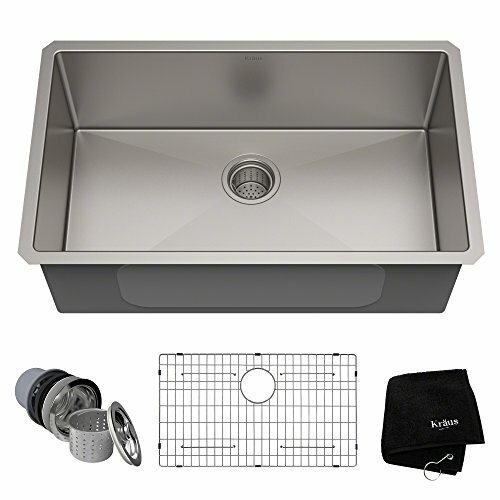 A rear-set drain ensures optimal drainage even with dishes in the basin, while engineered channel grooves help direct water to the drain, for a clean and quick-drying sink. 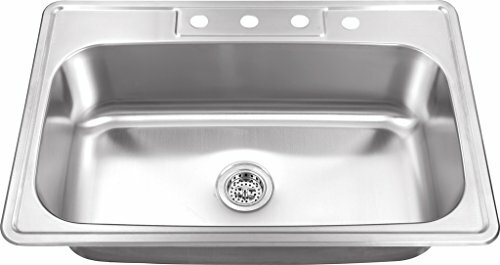 Strength meets beauty in the Forteza™ Series of kitchen sinks. The basin is constructed from a premium granite composite that blends natural quartz with acrylic resin for superior durability and the luxurious look of real stone. An advanced, proprietary manufacturing process ensures even distribution of the material, for unparalleled resistance to thermal shock and damage from dropped items. The sink is colored all the way through, for a rich and consistent hue that is enhanced with UV protection to prevent fading. A naturally antibacterial surface repels stains, and is heat-safe up to 650°F to shield against hot cookware. The versatile dualmount design enables either drop-in or undermount installation for seamless integration with any countertop. 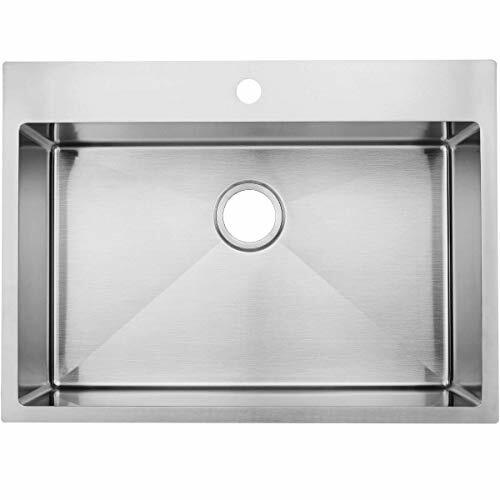 Featuring a single bowl configuration in a drop-in installation format, this rectangular stainless steel sink combines fashion with function to create a contemporary look for the kitchen. Handcrafted from premium 304 stainless steel for maximum durability, an extra-deep basin accommodates glasses and barware with ease. The clean lines and classic design complement every style preference, from traditional to transitional to modern. 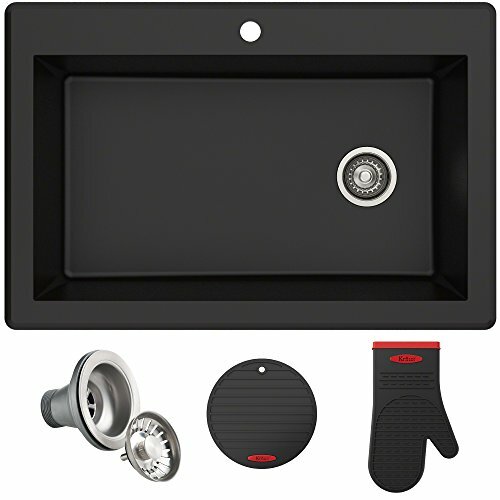 This elegant kitchen sink is equipped with top-level soundproofing, including thick rubber dampening pads. 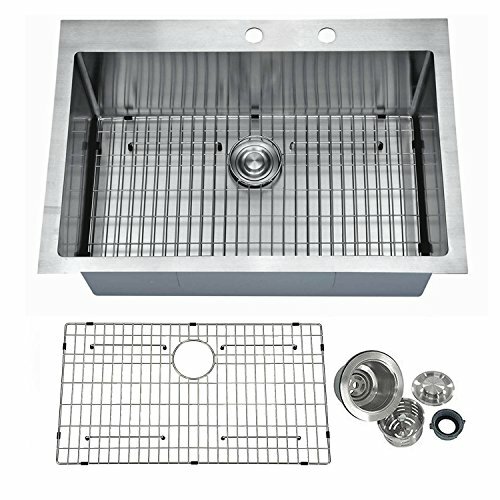 The sink is additionally treated with a protective coating that reduces condensation and further dampens sound. The corrosion-resistant surface is further protected from rust and oxidation by a meticulous finishing process. Four faucet holes at the top of the sink offer endless possibilities for faucet combinations. Commercial-grade satin finish and gently rounded corners make maintenance as simple as wiping the surface with a damp cloth. For easy installation, all mounting hardware is provided. Experience the enduring quality of the IPT Sink Company Collection and bring your design ideas to life. Double bowl sinks are obsolete. To see more: http://www.rachiele.com Made in America with Pride. 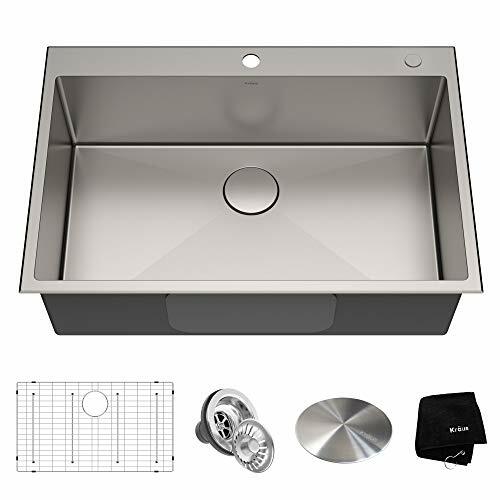 Want more Bowl Single Basin Sinks similar ideas? Try to explore these searches: Square Male Drive Adapter, Mens Pima Cotton Sweater, and Ladies 3/4 Leather Coat.